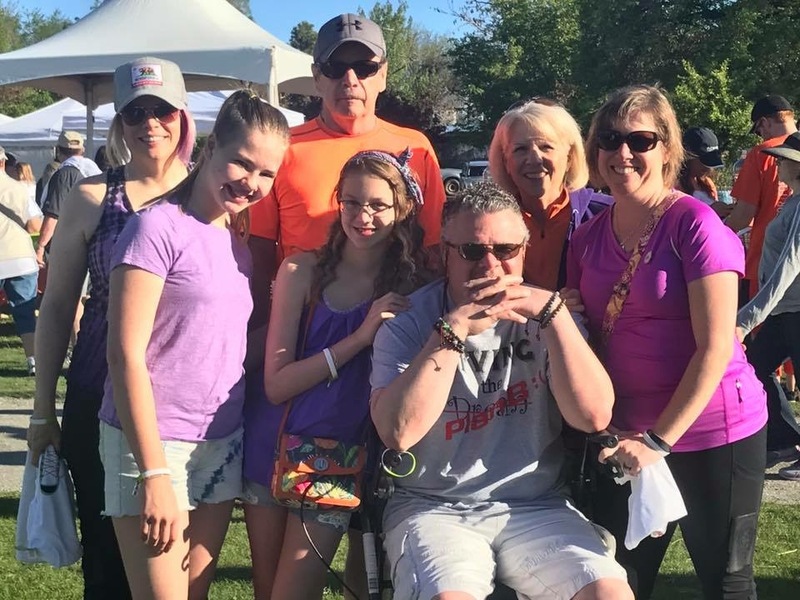 I recently did the MS walk. My family spent a bunch of time raising money for the walk, so I felt sort of “obligated.” Honestly, it is not really my thing. On top of that, it was an “off” day, but not “off” enough for me to bag the walk; but bad enough that I had to use the rollator (a walker with wheels and brakes). I refer to it as my Mini M3! What makes a day an “off” day? Increased loss of balance, excessive dizziness and the accompanying nausea (loss of balance leads to dizziness which leads to nausea. It is the proverbial snake eating itself). The walk had two options, either a 1-mile or a 3-mile run/walk. I decided on the 1 mile walk, or in my case . . . roll. It was a beautiful 80-degree Colorado day. But, even walk/rolling it was pretty damn hot! The walk started and finished in City Park, between the Museum of Natural History and the Denver Zoo. If I’m being honest, I felt, my completion, would be no less than a miracle. But Id didn’t want to let my family and friends down. Eventually I crossed the finish line. I was spent! Did I break any records that day? Not exactly. But in the end, I finished. One more point for Team MS (Mark Southerland) and more one loss for Multiple Sclerosis (MS)! The things we do for family and friends . . . and the things they do for us! Click here to learn more about being part of the Adventure: Living the Dream: Plan B; MS Takes on MS on Route 66!